Sometimes we need a twist in taste to help satisfy our taste buds. Spiced guava slices is such a recipe and has three flavors in it, its sweet, salty and spicy that will surely entertain your taste-buds. This spiced guava slices serves as a snack. 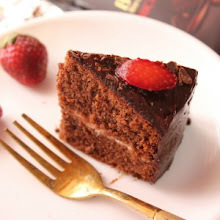 Its so easy-peasy and can be made in a jiffy, tastes awesome too. 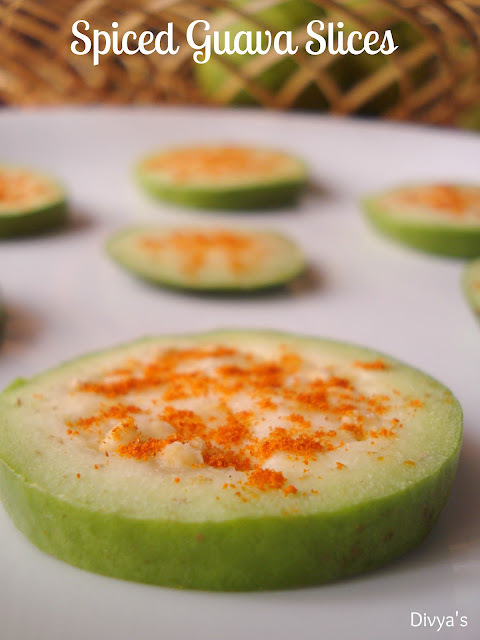 Some guavas are not that sweet, you can use such fruits too without wasting them. 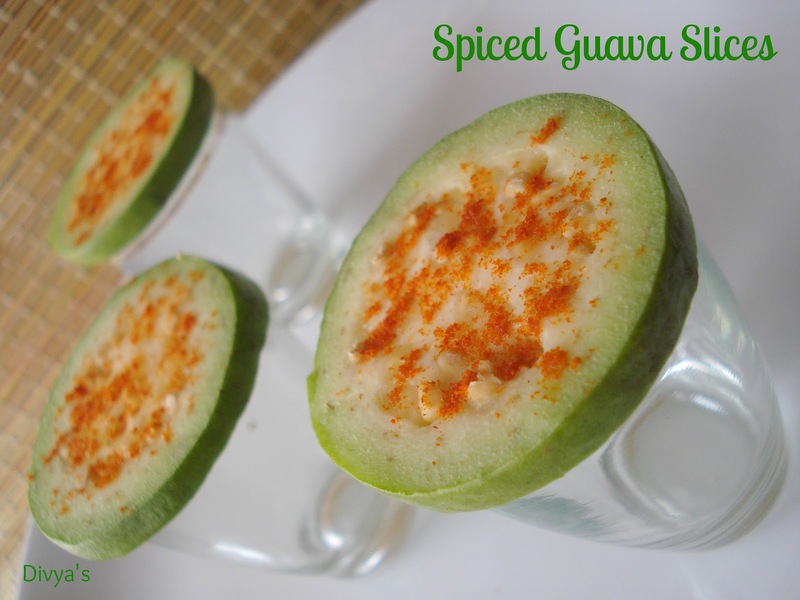 Those who have been to beaches and parks in Chennai would have tasted spiced pineapples which is a similar to this spiced guava slices, its so yummy and you can try with any of these fruits. Guava is a very sweet, nutritious fruit loaded and packed with nutrients and minerals. Also it is very sweet and so fleshy, it benefits health when consumed. Guava helps get rid of constipation and other bowel related problems, helps improve skin texture and is also rich in Vitamin C that helps improve your immune system, protect eyes, etc. So try consuming more of these fruits as much as possible. Lets see whats required and how to prepare spiced guava slices. 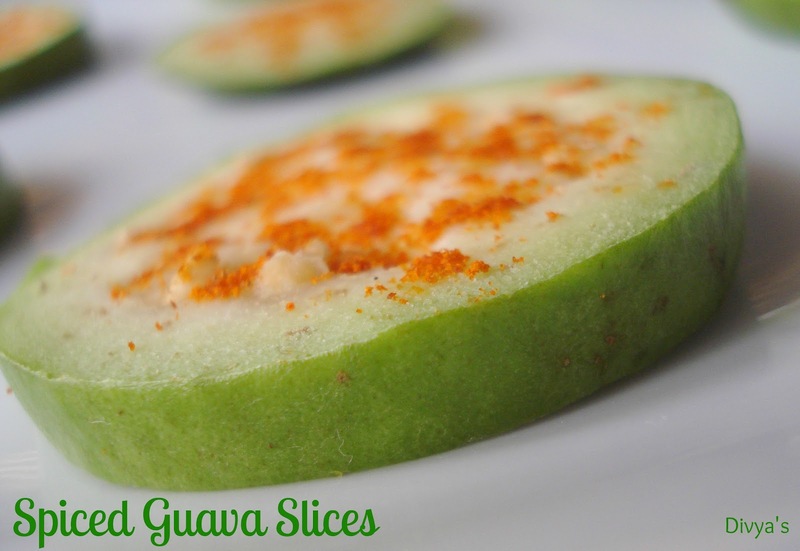 Make slices of guava and set aside. 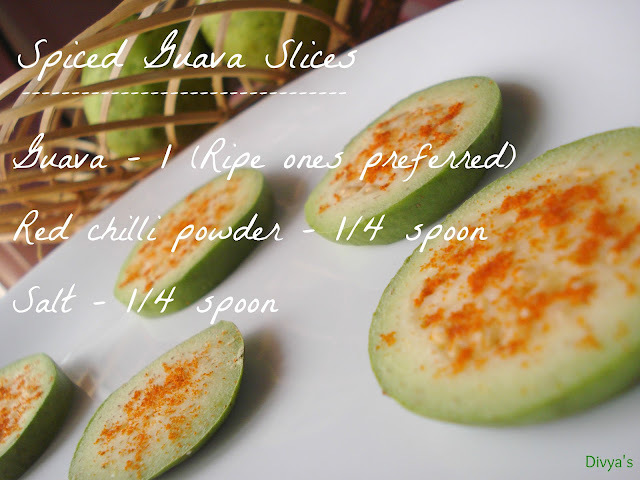 Mix salt and red chilli powder well and sprinkle it on the guava slices. 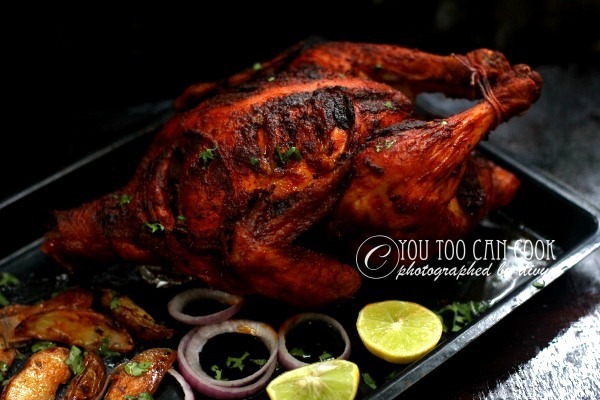 TIP 1: Adjust the addition of spice powder mix according to your preference. TIP 2: Use ripe guavas to get the best flavor. I have used unripe ones because am not a big fan of ripe guavas. 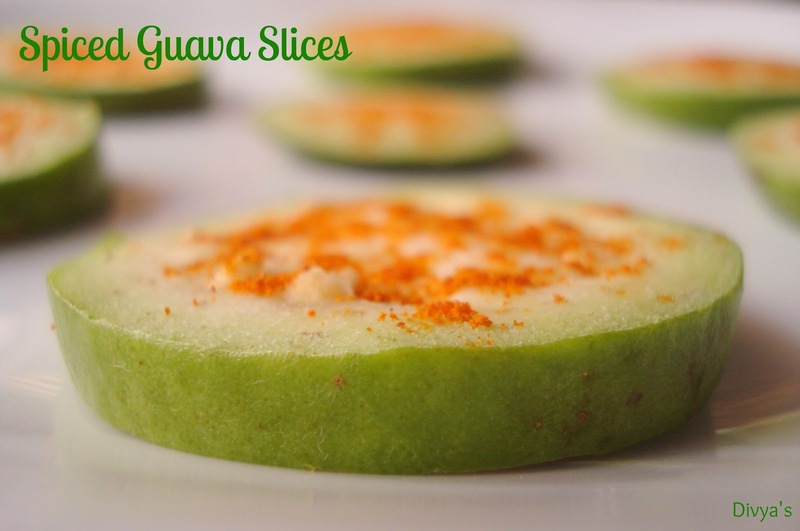 Simple, quick and tongue tickling spiced guava slices are now ready!! Serve as a refreshing snack!! its my favourite too..i too luv unripe guavas,will sprinkle spicy powders next time..
divya , i will make this spiced guva and post soon. 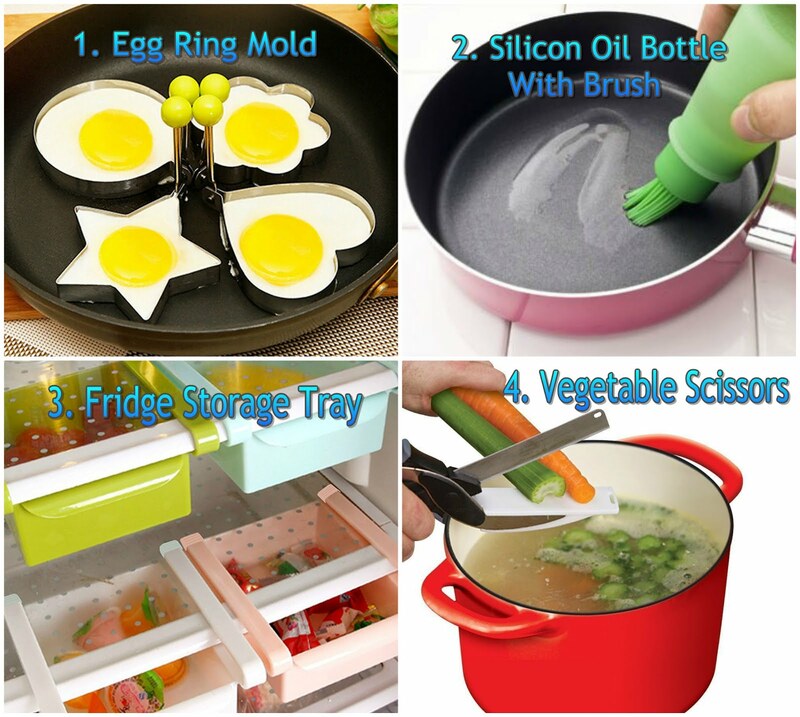 it is suitable during rainy days. Its my all time favourite and guvava is my favourite fruit after mango! 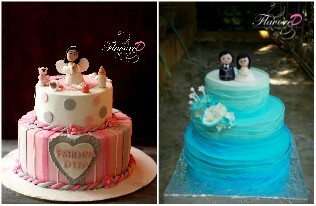 I want a slice now Divya! awesome clicks divya :) my mom sprinkles black salt.. never tried with chili powder..
Mouthwatering.. Me and my hubby used to eat guava like this only all the time.. Our all time fav..
Lovely clicks Divya. Thanks for reminding spicy guava! My favorite way to eat,makes me nostalgic. 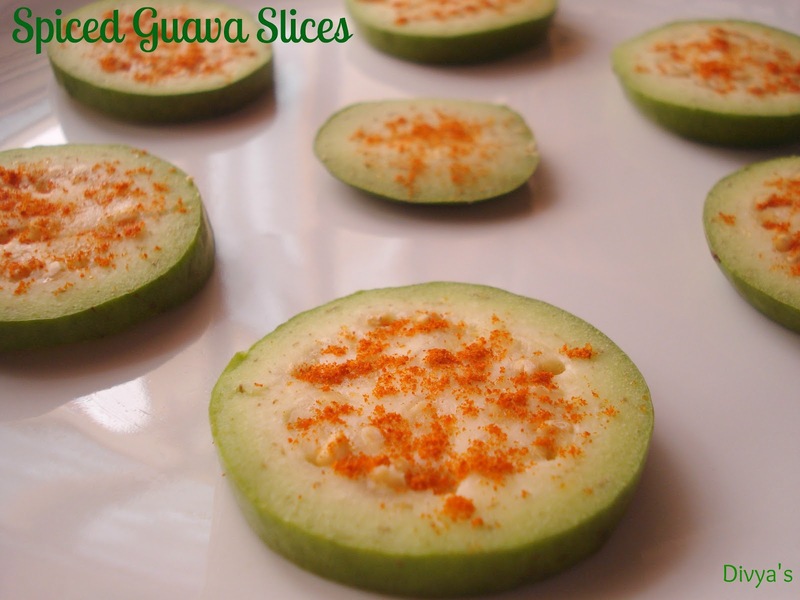 Masala Quava Slices Looks Excellent !!!! Simple and tasty... my tongue says chatka.. WELCOME TO MY ONGOING EVENT- "JASHN-E-AZAADI"
Love these slices, beautiful clicks..
Love guavas.. simple and delicious..
Slurp Slurp, feel like grabbing one right now. Great clicks. 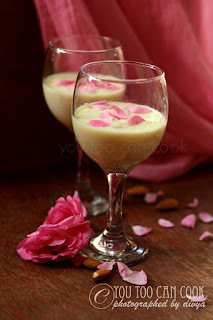 Mouthwatering......I used to take guava like this way in my childhood. 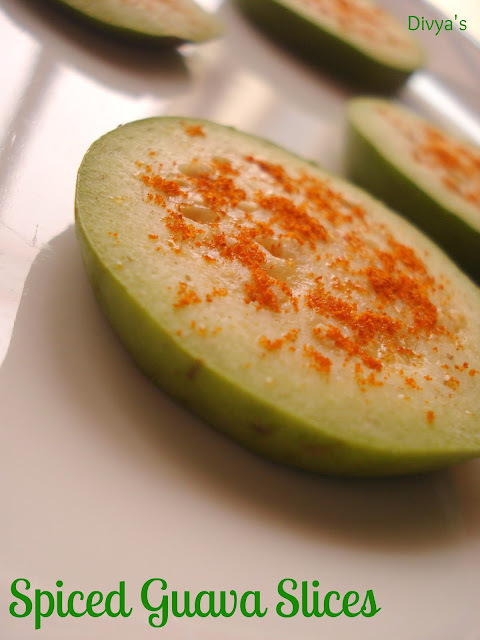 My fav too Divya...This yummy spiced guava reminds me of my childhood days...Awesome clicks dear! yummy!!! 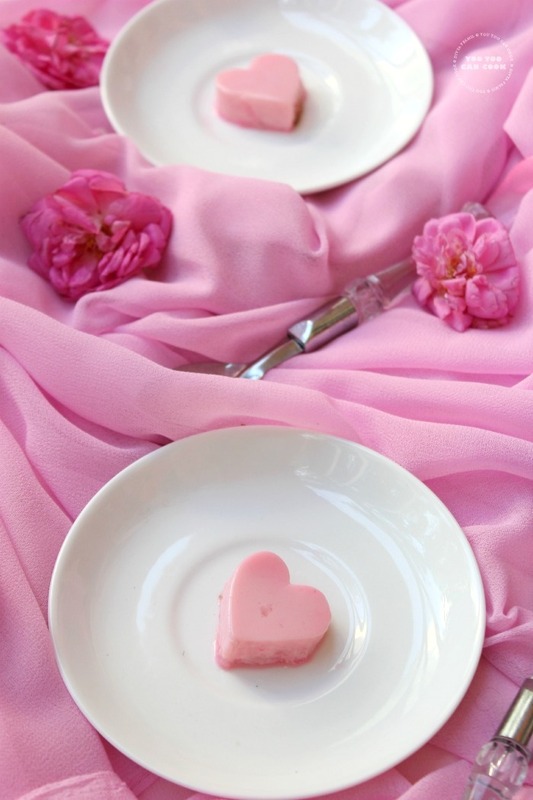 lovely and awesome clicks..
Beautiful clicks,i want some slice...B/W Thx u for ur lovable comment,u have a nice collection of recipes..happy to follow u..